I don’t think I’ve been as excited about a fashion blog campaign as I have been with this most recent one from Boohoo.com. Instead of doing that usual thing where they want you to choose a few items from the site and let you blog about them, they’ve left my fashion fate in the hands of French Blogger Anne & Dubndidu. The idea for the campaign is simple. They pair a UK blogger up with a French blogger and you choose an outfit for each other! I love this idea for so many reasons, but the main one is probably because I find European fashion blogs just seem to be so much more refined than blogs from other countries. Their images are always so fresh and crisp and their style is so ‘on point’ all the time (well, the ones I follow on Bloglovin’ are anyway). 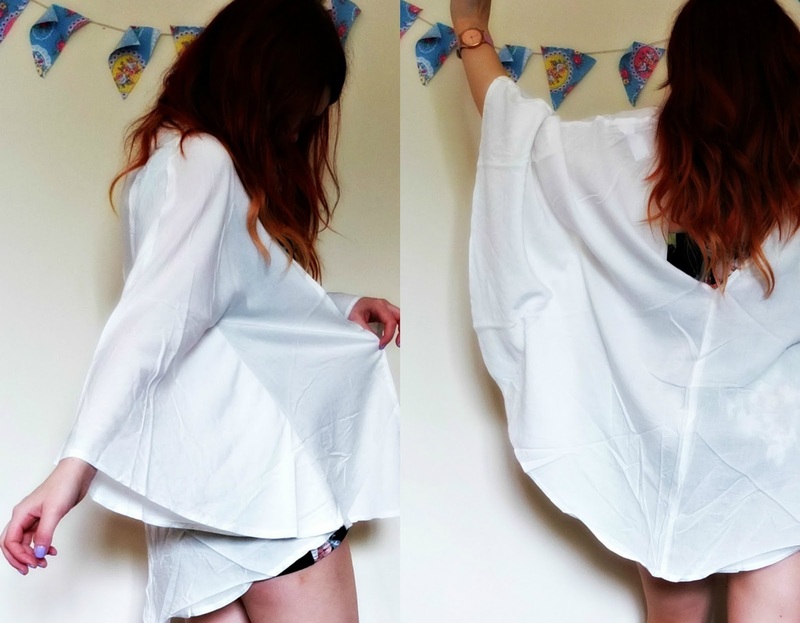 My absolute FAVOURITE thing from the Boohoo blogger style swap is the white Kimono. Everytime I put it on I whack out a few lines of Edge of Seventeen and pretend I’m Stevie Nicks…. It’s absolutely perfect for summer, and it goes with so many things! Just ignore the creases, I’m not very good at that ironing thing. The kimono also has an open back at the top, meaning it’s also great for those warmer days where there’s that annoying breeze which keeps catching you unawares, as you don’t get too warm but don’t get the chill so much.